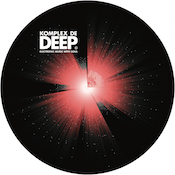 After a brief hiatus Komplex De Deep and its chief protagonist Master-H make a welcome return together to present the label's twenty second release. In his very own words, "this is a new me", H is now ready to unveil new music having been holed away in the studio for months on end mastering an array of new hardware and analog processes. The French producer is also challenging himself with the recording, locking down each individual track live and in one take. An art that was practiced by many of the Jazz greats in their heyday and one that has also influenced the title of the new release - 'Soul Take'. As with all Master-H productions we are drawn to the detail and emotion. 'Somba People' with its inviting tribal rhythm pairs traditional African song with a warm and enveloping blanket of strings, handclaps and bass. The title track ramps things up with its bobbing drums, stabbing synth and echoing cowbell. One take and plenty of soul. Behzad & Amarou /BEAR - Somba People !!!! <3 Respect and long life to Master H Full Support !!! Alex From Tokyo - Yes i! Soul Take est une bombe!! I can see my brother Master H at the control working it!! Somba People nous emmene encore plus haut en pleine trance!!! C'est la folie. Welcome back brother!!!! Je vais les jouer des ce soir in Brooklyn. PEACE !! Josh Wink - Happy that H is back!..Digging the deepness of Somba People! Chateau Flight (Gilbert) - Somba people is really good and deep and funky!.Thanks for sending guys. Alex Bark (Jazzanova) -This is a strong new release from Master-H! Will support. Nuno Dos Santos - Great return with 2 deep rollers! Will support it everywhere! Huxley - Soul Take has such a wicked groove to it. Loving it. Luke Solomon - Soul Take Funky as always from Master-H & KDD - love it. Sandrino - I'm happy to see Komplex De Deep back ontrack. Somba People is an absolute BOMB...Love it!! Dan Curtin - Soul Take has some groove, will see what I can get up to with this one. Funk D'Void / Francois Dubois - Another nice one from H!! The Revenge - Lovely stuff. Somba People will work best for me. Thanks! Tom Trago - This is sounding nice... Will test. .
KARIZMA - I am loving the sound of Soul Take! Joris Voorn - Love the texture and tension of Somba People, quite a special track! Adrien Villanova - Insane classy house music! Refreshing! Matthias Vogt - inspiring tracks. love this from beginning to end! Cé Line (Sundae) - This is only getting... better and better! Thanks for this release!